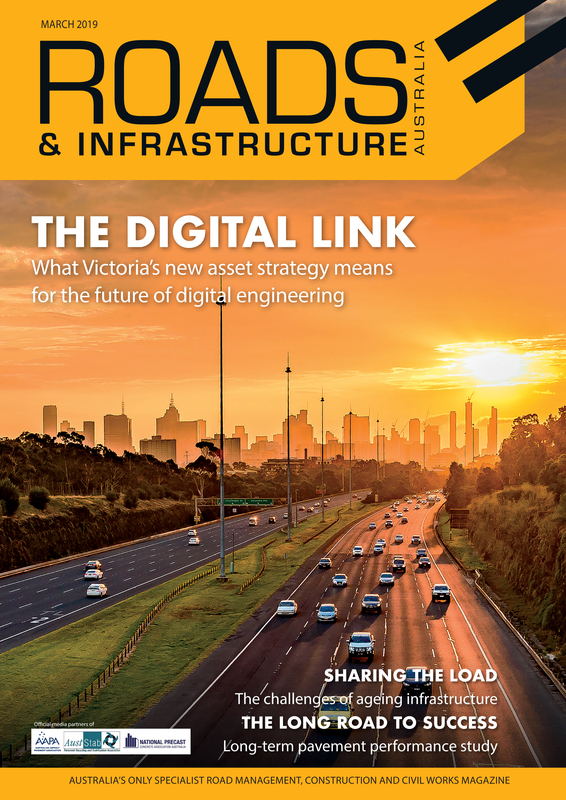 National Precast looks at the legacy of Western Australia’s Optus Stadium and how precast concrete had a crucial role to play in its lasting impact. 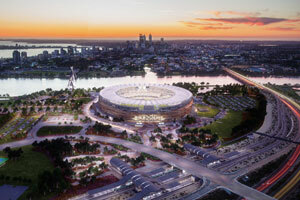 Stadiums have become important municipal and cultural landmarks in Australia and worldwide. Although their primary function is to host sporting and entertainment events, communities often imbue stadiums with a level of significance that extends far beyond. The award-winning and internationally-renowned Optus Stadium is an outstanding example of infrastructure that creates an iconic statement to the city of Perth in Western Australia. When the world-class stadium opened in January 2018, it was met with local and international acclaim from both the construction sector and general public. Optus Stadium has already hosted a range of blockbuster AFL matches and is set to open up more opportunities for Western Australia to host high-calibre national and international sporting, arts and music events. Optus Stadium recently earned the highest overall honour at the Australian Institute of Architect’s 2018 WA Architecture Awards, winning the prestigious George Temple Poole Award. Dominating the game, the stadium also received four named awards, including the Jeffrey Howlett Award for Public Architecture, the Wallace Greenham Award for Sustainable Architecture as well as the Mondoluce Lighting Award and the Colorbond Award for Steel Architecture. Designed as a joint venture by Hassell, Cox and HKS, the stadium has been recognised as a city-defining architectural icon. Exhibiting an innovative design committed to a ‘fans first’ approach and acknowledging Western Australia’s sporting, cultural and Aboriginal history, the new stadium offers fans an exciting new venue that is a tribute to the extensive possibilities of architectural precast. The 60,000-seat stadium comprises a five-tiered structure with a bronze façade made from anodised aluminium that is embedded with an LED light system. When the lights go on, it is the lower precast exterior that wraps the action within. A stunning precast architectural wall façade featuring 4000 square metres of panels manufactured by National Precast member Delta Corporation, creates a wonderful first impression for Stadium visitors. Delta Executive Director Matt Perrella says the client chose precast for its architectural finishes and the overall effect is imposing and stunning. “It’s virtually the first thing you see and it looks amazing,” Mr. Perrella explains. Although specified as a Class 2 finish, the coloured precast concrete façade is of high quality. With images etched into selected segments and sandblasted at varied depths, the panels exude contrasting architectural finishes – some with a smooth surface and others with exposed aggregate. Integral colouring using pigments in the concrete mix has produced raw, earthy tones and a saw tooth profile has been achieved using custom moulds that were fabricated specifically for the project. The commitment to a ‘fans first’ stadium has resulted in an innovative design that isn’t only delivering an incomparable event atmosphere; it also acknowledges the site’s rich Aboriginal culture and history. This has been done by having indigenous artwork etched into the surface of the precast panels with graphic concrete. Delta worked in collaboration with National Precast Industry Partner and graphic concrete specialist ramsetreid to manufacture a spectacular surface relief that showcases the Nyoongar Aboriginal language and stories. Artwork was provided by the State Government of Western Australia. “While we use varying degrees of sandblasting regularly, the graphic art on this project was something really spectacular,” Mr. Perrella says. At the centre of the sporting action is more than 3500 individual units of prestressed precast concrete seating plats manufactured by Delta and fellow National Precast member PERMAcast. When joined end-to-end, the seating stretches almost 30 kilometres over three levels – sitting precast concrete in the heart of the game. All structural elements were manufactured in high-quality steel forms to a Class 2 off-form finish. National Precast Chief Executive Officer Sarah Bachmann says Optus Stadium showcases how sustainable architectural precast can have positive effects on both the community and wider built environment. “As the new jewel in Western Australia’s crown, it is no wonder the glory of the new stadium has been met with local and international acclaim,” Ms. Bachmann says.